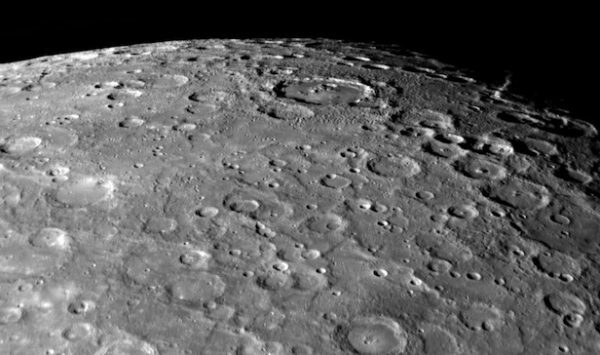 Mercury, the planet closest to the sun our solar system has a specific feature that few know and it has taken a long time to properly explain. A very specific thing. We all know or have told us or we imagine or, God knows, that the orbits of the planets around our sun are not circular, but are elliptical. An ellipse is but a path around which two points, the sum of both is constant distance, called foci. This quality makes it not circular but “circular flattened” and the Sun is at one focus. The orbit of this small planet is the most eccentric of our solar system (well, it is the most eccentric in fact), which means that in itself is the least looks like a circle, it is the longest. Because tour “very fast” (88 days) and thanks to the rotation of Mercury suffers from an event called dawn double dusk where the sun rises, messes and back out through the entire sky and hiding for opposite side. Something worth seeing. But the most curious of its orbit is called “perihelion advance” in which the orbit of the planet is rotating. If the orbit of Mercury rotates by one focus (where is the sun). This curious effect was returning crazy to physical as the Newtonian mechanics (not the Lagrangian, but also) could not fully explain and just dropped the existence of another planet between the orbit of Mercury and the Sun Vulcan denominate. Every 10 years the orbit moves 2 degrees, which by interacting with the other planets was “explicable” except (and this is the issue) the last 40 seconds. That is, 1.6 degrees is explained by the interaction with the other planets (Venus, Earth …) but the last 40 seconds thought it was a problem that was done wrong measurement as Newtonian mechanics did not come to explain. It was not until Einstein with the physical Gaber calculations are remade by general relativity. Because gravity is a wave that propagates at the speed of light calculating the gravitational attraction also it depends on the distance of objects and their influence (of their mass, come on). Because of the distance, what it takes to get gravity causes the orbit varies with time explaining these 40 seconds until turning. A’s cool. In fact, because of this variance it is returning crazy all equations argue that Newton was “flawed” and factors “fix” joined mode that best explain this problem. Until at Eintein (which was based on the results of Gaber) incorporate the propagation of gravity. Thanks to this problem and its solution to the equations of the orbits of (eg) binary pulsars where gravity is very strong can be calculated by heart.